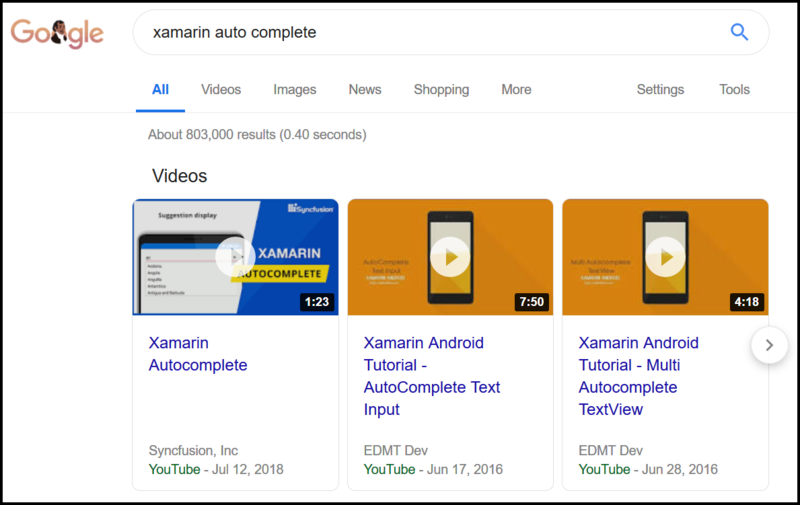 I am looking for and Xamarin Forms Cross Platform tutorial, that will allow the user to type in an address in the textbox / Entry control, and it will auto complete. something like google maps but without the map, and just a textbox / entry control? Can you please point me in the right direction. Will this work for Adresses, it seems like those videos are just for typical text?